Sgt. Darin Redden and the City of Wood River are fighting a lawsuit filed by a woman who claims Redden’s police car slammed into her vehicle. Vickie M. Oetken claims she was driving her 2009 Chevrolet Impala north on Route 111 at the intersection with Route 143 on Oct. 28, 2011. She says she was driving through a green light when Redden, a Wood River police officer, allegedly entered the intersection without an activated siren and struck Oetken’s vehicle, according to the complaint filed Oct. 25 in Madison County Circuit Court. Redden and the City further claim that Oetken is barred from recovering damages due to her contributory fault. She was northbound on Illinois Route 111 when she failed to observe and yield to Redden’s emergency vehicle, which had its emergency lights illuminated, causing her vehicle to collide with Redden’s vehicle. 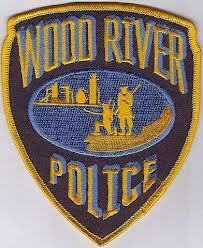 Redden and Wood River request the lawsuit be dismissed. Oetken’s lawsuit, however, claims that Redden was not responding to an emergency at the time of the collision. She seeks more than $50,000 in damages. Keith Short of the Law Office of Keith Short in Wood River will be representing her. The Law Office of Michael R. Wesley on Jan. 23 entered its appearance as co-counsel for the plaintiff. James C. Cook of Walker and Williams in Belleville represents the defense. Madison County Circuit Court case number: 12-L-1739.